The Biblical admonition to “do the right thing” can be found in the words of Micah 6:8, “Do justly, love mercy, and walk humbly with God.” Let’s examine these three directives. Put simply, to do justly is to do things right, and do the right things. God cares about fairness. God cares about equity. God cares about women being treated with the same dignity and respect as men. God cares about people being judged by the content of their character as opposed to the color of their skin. God cares about those who have no medical insurance and can’t afford to get medical care. God cares about the economically disadvantaged. God cares about domestic abuse and violence. God cares about the disabled and the disenfranchised. God cares about all the people who are adversely affected in our broken world. God cares about social justice. God cares about black lives, white lives, red lives, yellow lives, blue lives, and all lives. So in harmony with God’s will and way, act with fairness, integrity, and honesty. Love and treat everyone right. Do justly. Micah 6:8 doesn’t say, “have mercy,” but rather it says “love mercy.” There’s a difference between having mercy and loving mercy. And one way of describing this difference is that we shouldn’t perform acts of kindness from a sense of compulsion, which is having mercy. But, we should do them out of love, which means you love mercy. Mercy is favor, kindness, and compassion. When we love mercy, we love kindness. When we love mercy, we love compassion. God expects us to love and get along with one another. He expects us to “do the right thing” and love mercy by demonstrating it towards others. 3) Walk humbly with God. The first two directives in Micah 6:8, “do justly and love mercy,” deal primarily with how we treat one another, but the third directive, “walk humbly with God,” reveals our relationship with God. And the right relationship with God always begins with humility not arrogance. Whenever you walk with someone, three things must be true. Number one, you must be going in the same direction. You can’t walk with someone and be going in the opposite direction. And you will never learn to walk with God until you know which way God’s going and then you change your course to match His. Number two, when you walk with someone you’ve got to be going at the same pace. In order to walk humbly with God, you must match God’s pace, God’s speed, and God’s tempo. Stop getting ahead of God and stop falling behind God. Walk with God. Number three, whenever you walk with someone, you always have to be headed to the same destination, which means, if you want true fellowship with God, make sure you’re going where He’s going. Make sure you reach the ultimate destination where He will be, and that’s eternal life with Him. 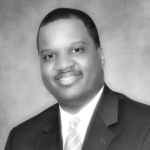 CARLTON P. BYRD, D.MIN., is Senior Pastor of the Oakwood University Church in Huntsville, Alabama and the speaker and director for Breath of Life Television Ministries. *All scriptural texts are taken from the King James Version unless otherwise indicated. 5 1 Samuel 12:24, Psalm 86:12, and Revelation 14:7.